When Friday arrives, my culinary needs goes over the top and a bit out of the norm. Anything is possible. Didn’t feel like dining out. I craved the taste of my humble kitchen. After all, Monday to Thursday, I try my utmost best to eat with a fine balance. 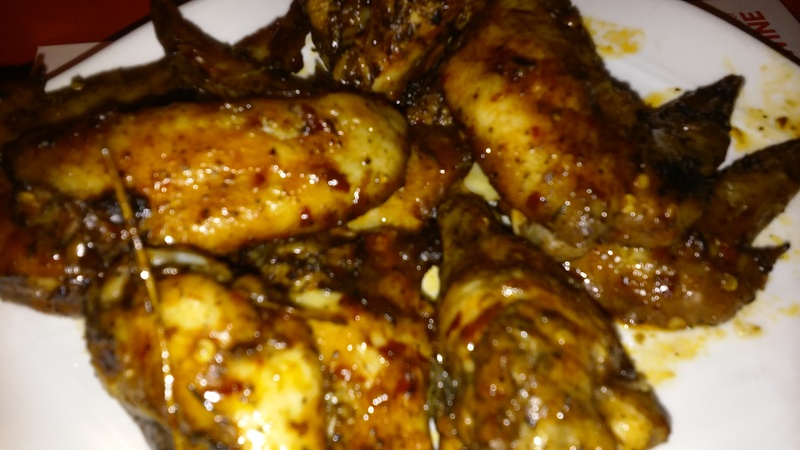 Had a few wings in-house and decided to go ‘jerk’ with same. Went on to use up the packets of Chinese delivery/take-out sauces such as hot pepper/duck sauces along with a few other ingredients like honey, ketchup and soy sauce. With that amalgamation of spices and ingredients, I was able to turn out some rather spicy, slightly sweet/tart chicken wings. It was like two nations (Jamaican/Asian) meeting culinary-wise. 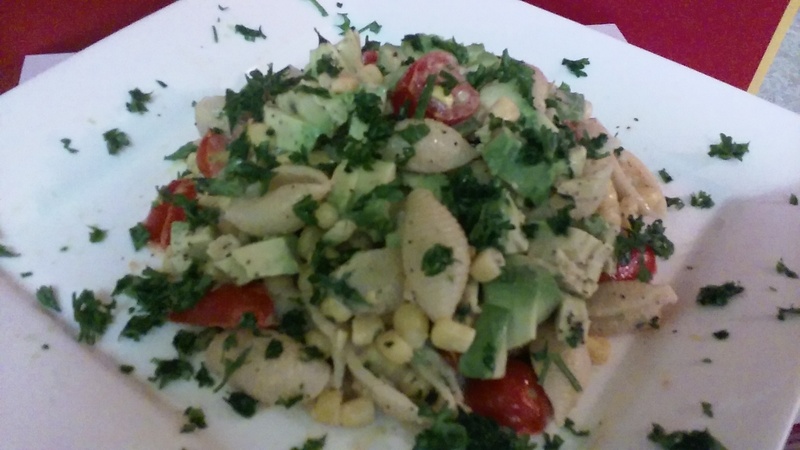 To go with my jerk/Asian flavored wings, I decided to serve a shell pasta, corn, avocado and veggie salad which could be had either cold or warm. The creaminess of the salad balanced the spicy jerk/Asian wings. Though my supper was unique combos, they turned out to be perfect culinary partners. I was super-happy.